Such is the case in this story with the enigmatic, unchanging women of the Hempstock farm—a grandmother, mother, and daughter who have existed since time immemorial. The anonymous narrator finds himself at the Hempstock farm after a funeral prompts him to revisit places from his childhood. Dark and distant memories come creeping in, sending the reader back to the narrator’s boyhood to a time when a traumatic experience stimulates the manifestation of a sinister force in the form a new lodger—Ursula Monkton—at the boy’s home. While his family becomes enchanted by her, Ursula’s evil doings put the boy’s very life in danger. Yet, on his own, he is powerless against her. At the same time, this lonely boy befriends his neighbours, the mysterious Hempstocks, and is delighted to have found a new companion in the daughter, Lettie. The boy learns that he must rely on the Hempstock women if Ursula is to be defeated, yet their quest to do so does not come without cost. Although I’ve sometimes shied away from fantasy fiction, I love books that leave me with lots to ponder after I’ve finished—and this book was definitely one of them. 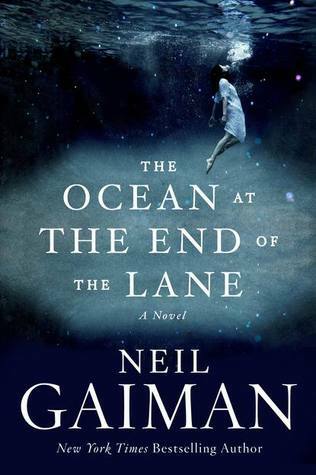 I was captivated by Gaiman’s lyrical writing style, his vivid descriptions, and how, in the world he creates, magic secretly lingers within ordinary settings and objects. The protagonist is highly sympathetic and fascinating for his rich inner life. Mystical, haunting, and sometimes downright scary, this tale is also a celebration of childhood and wonder and prompts reflection on such themes as memory, forgetting, loneliness, loss, and time. Interested in other atmospheric fantasy fiction titles with child protagonists? Try Jo Walton’s Among Others for a tale that is both suspenseful and nostalgic. Ray Bradbury’s character-driven Something Wicked This Way Comes will give you the chills with its creepy tone, while John Connolly's action-packed The Book of Lost Things incorporates retellings of old fairy tales.